A 13-year-old girl died at a St. Paul hospital over the weekend after being involved in a snowmobile accident during a safety training course in western Wisconsin. WCCO reports Sara Thorsland of Osceola, Wis. was one of 42 students attending the snowmobile safety class taught by volunteers from a local snowmobile club in the parking lot of Osceola High School Saturday morning. Authorities say Sara was wearing a helmet while operating a snowmobile on a slow-speed course when the vehicle accelerated, sped off course and crashed into a loading dock. Sara was transported to Osceola Medical Center before being airlifted to Gillette Children’s Hospital where she died from her injuries Sunday afternoon. Osceola Police and the Wisconsin Department of Natural Resources are investigating what caused the snowmobile to speed up unexpectedly. Police Chief Tim Lauridsen told the Star Tribune that the snowmobile was outfitted with manufacturer-supplied wheels on the skis to best simulate how the machine would handle on snow. Sara had completed a pre-ride safety check before she began navigating the course. 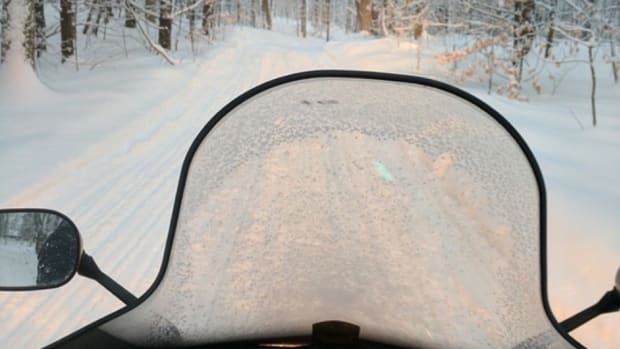 In Wisconsin, those born after Jan. 1, 1985 and are at least 12 years old must complete a snowmobile safety certification course to ride on public trails. The DNR says there were 20 snowmobile fatalities in Wisconsin during the 2012-2013 season. In Minnesota, 8 people died in snowmobile accidents last winter.